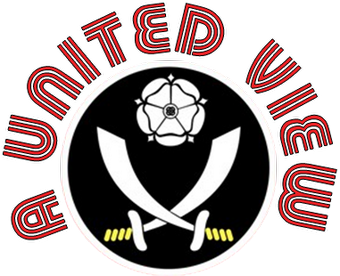 When I started this blog I was determined that, despite my unending support for Sheffield United, this would be a blog that looked at all football and not just the Blades. The fourth post in and I have slipped, but forgive me it's with good reason. The opening to the season has been turbulent for the Blades. A point away at Cardiff with 10 men was a reasonable start, but an awful Carling Cup exit at Hartlepool was followed by an equally impotent performance in a home defeat to QPR, which saw the Blades 3 down in half an hour. Despite the multitude of frustrations (with team, performance, manager, officials) that day and the fact that there was a vocal minority calling for Kevin Blackwell's head after half an hour, a majority of Blades fans were shocked and stunned to hear the news of his departure emanating from Bramall Lane as they journeyed home. After Blackwell had changed the squad over the Summer, the bizarre timing of his departure along with the fact that United had turned down Swansea's approach for Gary Speed in the Summer meant that there was, realistically, only one likely replacement. Although it took a couple of days to be confirmed, it kind of made sense to promote from within. Yet, despite his standing in the game, his appointment has split Blades support. An element, albeit a minority one, see it as a cheap and easy option for a board that is in the second year of adjusting the club's cost base, after investment in players and wages failed to yield a return. This taking place alongside an apparent reluctance from chairman Kevin McCabe to make up ongoing financial shortfalls. Last night was an opportunity for fans to quiz the new manager face to face for the first time. Alongside, Chief Executive Trevor Birch, captain Chris Morgan and Summer signing Leon Britton, Speed took questions from some of the 150 or so supporters present. Given his increasing presence as a pundit and as a stand-in captain on A Question of Sport there would be no doubting his confidence in front of an audience but, notwithstanding that fact, he came across very well. He answered the questions you would expect, with the answers you would expect. "Great opportunity, no thinking it over involved, wouldn't have taken the role if he didn't think he could take us up." He appeared to answer questions openly and honestly; even grabbing the mic off Trevor Birch, who was answering a question on funding for player loans/transfers, to ensure he made a point regarding how he will not be rushed into making loan market moves, despite the anxiety of fans who perceive weaknesses in the squad. One question from the back about Sam Ellis brought a forceful, bordering on aggressive response. Ellis was Blackwell's assistant and a perceived dinosaur in today's modern football world. The fact that he once played for Wednesday and his apparent comfort in being Blackwell's fall guy in front of the media following a defeat, didn't help his case. His inability to recognise the paucity in quality of a defeat last season, even claiming that he thought we played well, drove me to call the local phone-in to demand some honesty from a management team who seemed to be watching a different match. Speed explained that Ellis was leaving with Blackwell but that he had asked Ellis to return, as an experienced pair of eyes and to provide a strong alternative opinion when appropriate. He said words to the effect of "it's my decision and i will live or die by it". Stirring stuff and proof that he will be his own man, even if it does ruffle feathers. That aside, his responses were generally calm and considered and often with good humour. The ribbing amongst the panel was cutting, but taken in good turn. Well Chris Morgan (more often than not the recipient) was smiling, but then they say assassins smile! Team spirit has rarely been an issue at Bramall Lane and that has often driven the club to Cup Semi-Finals, Play Off Finals and the Premiership, when perhaps other teams have had greater quality and footballing ability. This appears to be the case still under Speed. There has been a noticeable attempt to change the playing style in the first couple of games, to a more passing style where possession is retained more consistently. Speed said this was started under Blackwell, with the signing of Leon Britton as the midfield fulcrum for it. However, Speed has deployed Britton deeper and to better effect in his first two games. He acknowledged that this was yet to create enough in the final third and that he wouldn't be afraid to switch to be more direct when needed. Again, he said it will do it his way to ensure results, regardless of "popular" opinion. When asked to choose one of the many managers he has worked under, as the one who he will take most from in his first steps as manager, he named Sir Bobby Robson. Some role model to follow. He said that he, amongst many other players, played the best football of his career under Sir Bobby's tutelage at Newcastle. He put this down to the respect between player and manager and how Bobby managed that relationship. He hopes he can apply the same skill set. Thankfully, we don't have Keiron Dyer's at Bramall Lane, so it may be a little smoother than it was at times for Sir Bobby at Newcastle. The other big switch he faces is from player to manager, but this should be smoother given his enforced retirement and role as coach over the last couple of seasons. Chris Morgan went as far as to suggest that it was harder for Speed and the players when he switched from player to coach, but when a manager has the level of playing experience he has, respect from the players should not be an issue. This has not stopped a number of players getting fined for calling him Gary or Speedo in his first couple of weeks. He acknowledged life wont be easy. Someone had described the role as being full of pressure, but he said that by no means is this pressure compared to what people have to deal with in tehir lives every day. "If thsi is pressure, bring it on". So, Speed presented him well to the fans and everyone seemed to leave feeling positive about how he will tackle the task in hand. Now that application, commitment and nous needs to be turned into results. No-one can turn around and say he will or will not be a good manager, either way he needs the chance to prove it. He needs the backing of the fans and that means reversing some of the apathy that has set in around Bramall Lane over the last few months. Fans may be frustrated at the lack of transfer revenues being spent, but realism needs to be applied. Outside of a couple of clubs, who in the Championship is spending money? It is not straightforward cutting £5/6m from a wage bill and so transfer revenues will have to contribute to cover it. In these turbulent financial times, some stability is required. For that reason I hope that Speed is given the other big factor in achieving success and that is time, from both the board and fans alike.